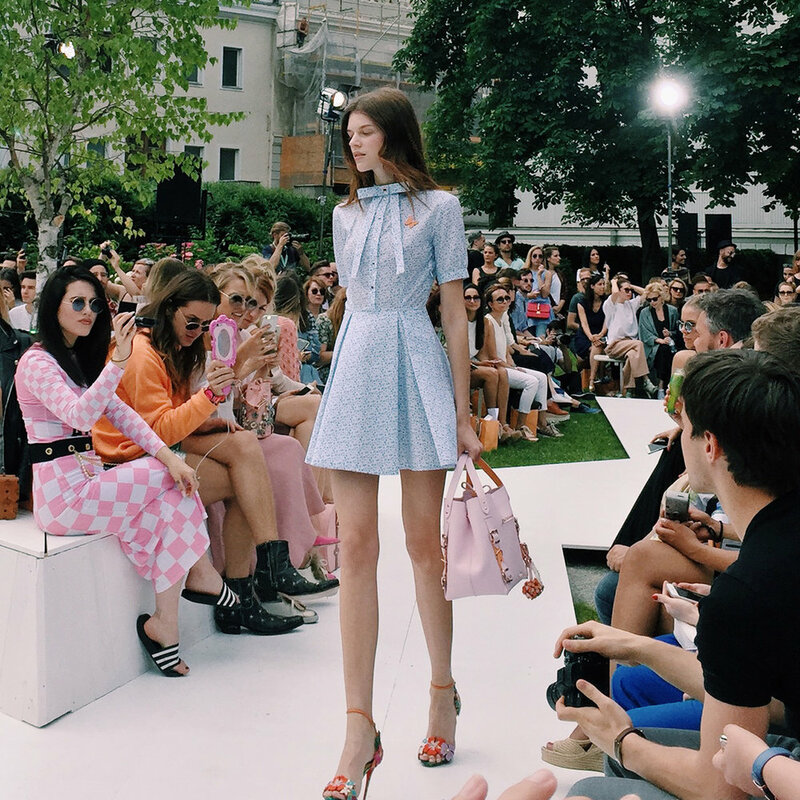 Berlin Fashion Week, or better put the fashion carnival taking in one of the worlds trendiest cities, are the ultimate scouting grounds for all those who are fashion-hungry. 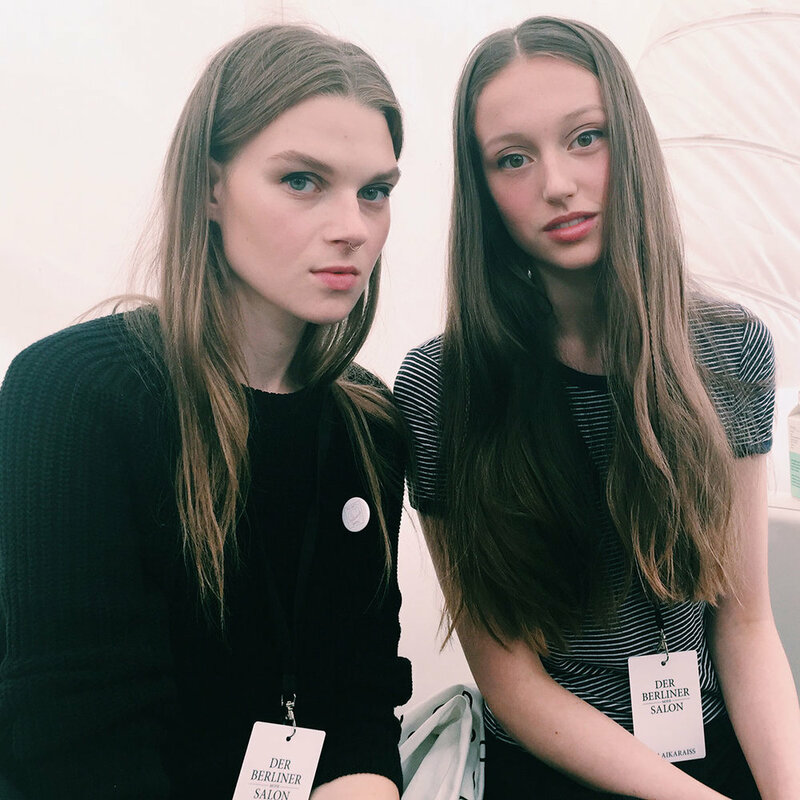 Obviously, we wouldn’t miss it for the world, and went backstage at some of the most inspiring shows, which took place at the Berliner Mode Salon. Alongside all the designers that lifted their curtains for us, we have to thank the teams from Wella Professionals and Sebastian Professional for their insights. And now, the looks that inspired us the most at SS17. ABOUT FASHION: Flowing, sculptural creations: the basis of Hier Le’s SS17 collection. The designer’s creations are minimal and brutalist, with a strong focus on mauve, beige, white and blue tones. Layered, with elegant cut-outs or flooded with transparents, Le’s precise tailoring combines flawlessly with dynamic sportswear-chic. 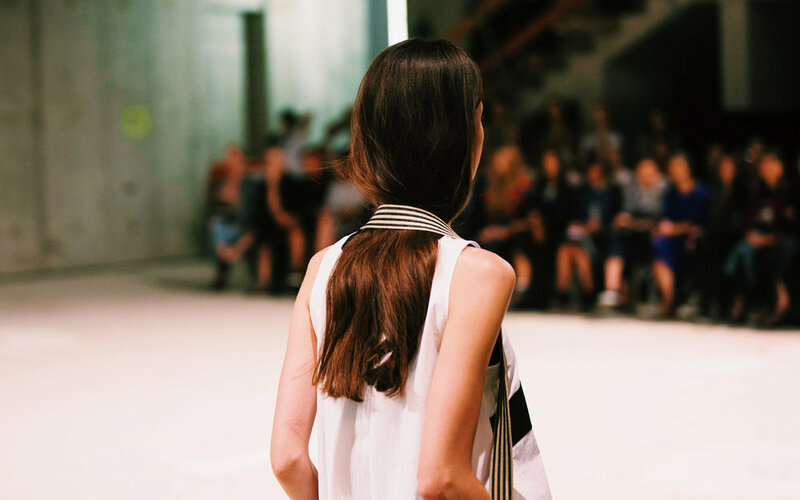 ABOUT HAIR: Graphic x Layering. These two style ingredients were utilised to their fullest to support Hien Le’s creations. 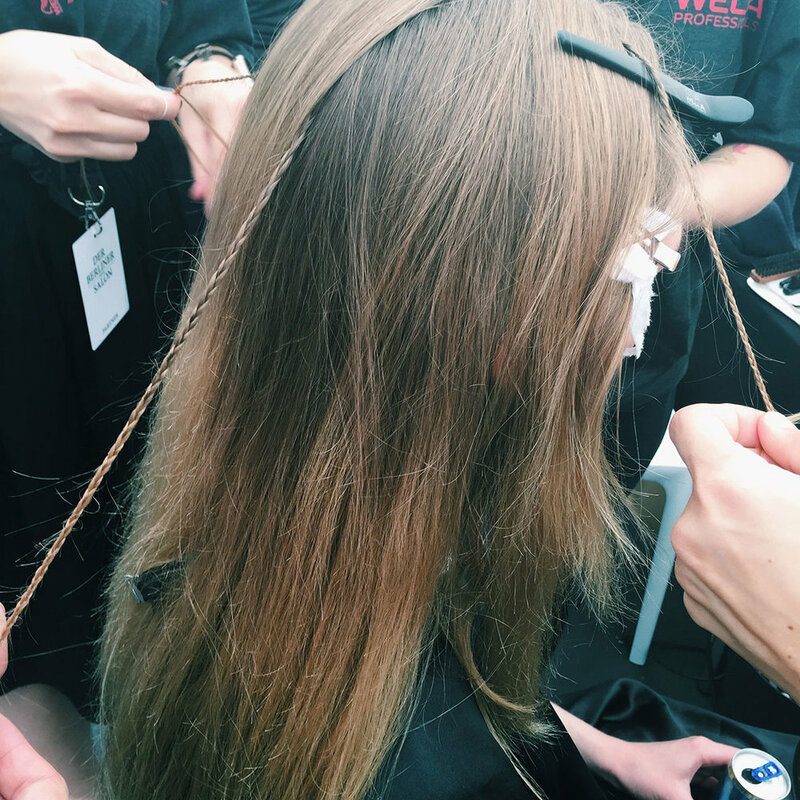 The puritanical, low tied braid brilliantly imitated an undercut optic through the use of finely pulled back bangs - created by the teams of Wella Professional. 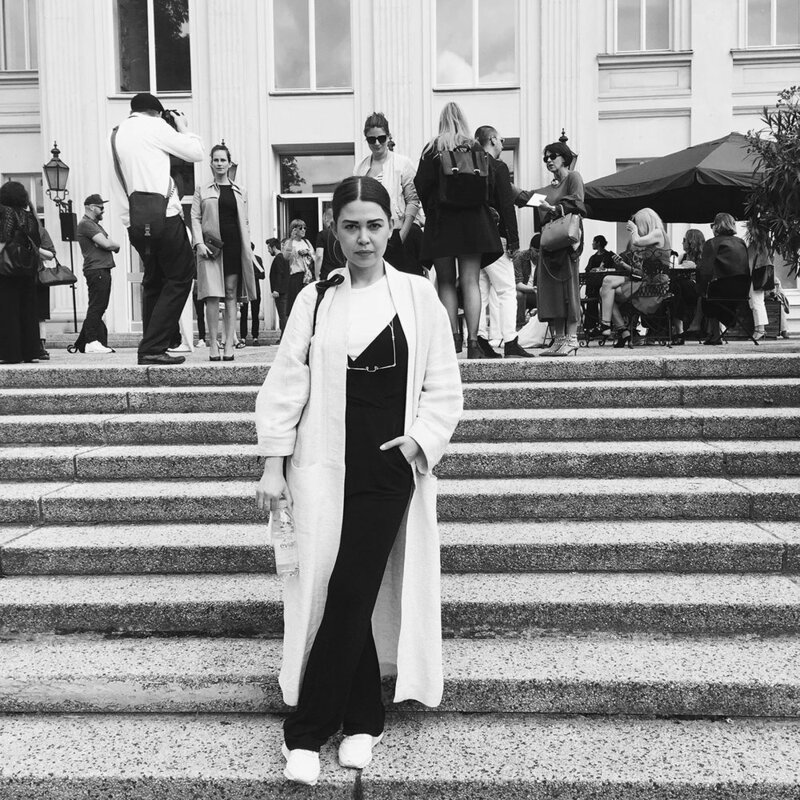 ABOUT FASHION: The secret hideaways of the musician bohème were the inspiration for Raiss’ show this year, presented in the Kronprinzenpalais (the old Crown Princes Palace), right on the historic Unter den Linden promenade. The nonchalance and elegance of places like Mustique or St. Bath were evident in details such as valance in powdery pastel tones on belts, sporty mesh layers and corded bands lying lightly and silhouetting on silk dresses. An exciting cherry red flashing through the creations stylised and underscored the elegance and grandeur of these pieces a little more, becoming one of the eye catchers of this years show. The designer also scored with her simple yet very effective designs – flowing skirts, wide pant legs, loose and yet form-fitting tops and blouses. ABOUT HAIR: Bohème deluxe – the best fitting phrase for the loose and restless look created by the Wella Styling team for this most feminine of collections. The playful interactions of feathery lightness and fine structures were mirrored in elegantly and thinly woven braids hidden amongst otherwise slightly wavy hair. ABOUT FASHION: Studio tradition and the search for perfection have been pushing the design duo Otto Drögster and Jörg Ehrlich to new heights since 2008. Hence, the grandeur of this years show location doesn’t come as much of a surprise after all: the Berlin Stadtschloss (city castle or palace), still only halfway finished and an impressive architectural feat nonetheless. 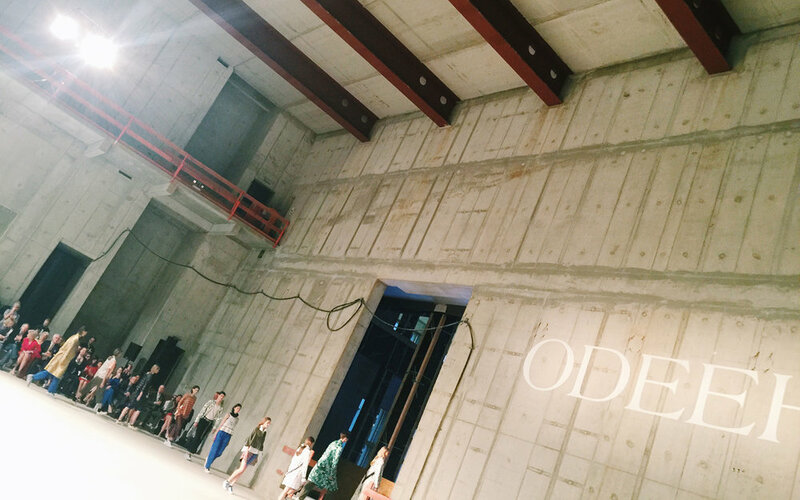 The runway was set up in one of the bare stone halls, pure, clean and giving room to the impressive and unique choreography. Ornamental prints, ruffled collars and valance details on blouses were as much part of the men’s and women’s collections as futuristic metal textures on wrapping skirts or loosely fitting overcoats and striped silk blouses, adding only to the overall waist-focussed looks. Also present were wide as well as tight 7/8 pants, shorts and the classic boyfriend trousers, memorably not out of denim. To round it all off, the footwear consisted of sneakers, for both the women and the men. ABOUT HAIR: Tension and layers were not just the credo of the fashion show, but also the hair styling: the top of the head was casual and yet precisely styled, with strong structures, and the flowing long hair beneath was spun and braided in with the clothing and collars below, attaining a harmonious, singular look. Looks by Wella Professionals. ABOUT FASHION: The French Riviera, shimmering sunsets and copious amounts of highlights, this years summer show with the talented Austrian Marina Hörmanseder completely stills the thirst for heart racing summer days. The vibrant colour pallet, starting with lovely blues, over prickly Campari-red to charming oranges – everything underscored by the typical Hörmanseder sculptural corsages and skirts. Also on board the midsummer nights fashion dream: three-dimensional butterflies and blossoms adorning the creations in a multitude of colours. Special eye-catchers this year were sparkling pearls and ribbon details, skilfully mixing in with a whole range of different materials, leather, wool and jersey, and adorning every piece, from boyfriend blouse to tennis skirt. ABOUT HAIR: Simplicity and noblesse were the style ingredients with which the Wella stylists created hair looks fitting the collection – so called “Beauty Hair”, meaning to underscore the natural structure of the hair, be it curlier or smoother, by letting it fall loosely and accenting it with a soft, lustrous glow. ABOUT FASHION: The shows by the French-German design duo are already legendary. 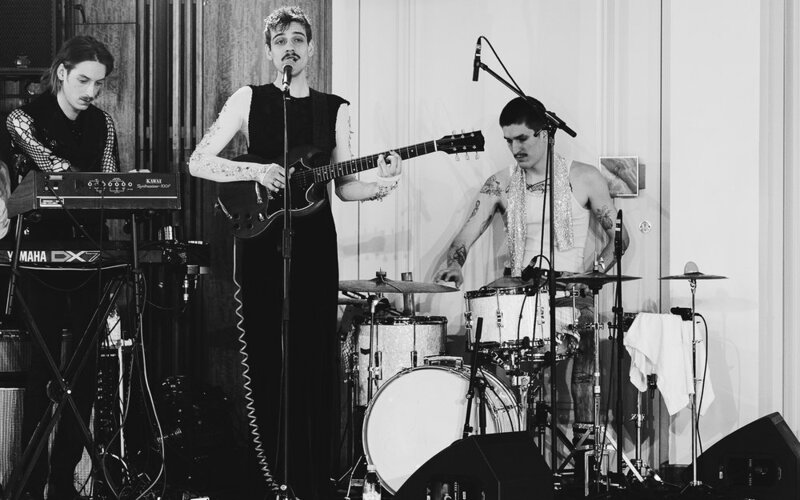 Usually more of a conceptual art performance than a classical fashion show, this year the two surprised their audience with another secret Berlin highlight: Walls & Birds, a small, Neukoelln-based band performing live alongside the runway show. Similarly to the music, an exciting reinterpretation of glam-pop, pop and punk culture clashed together and combined elegantly with couture-elements in the creative designs of the duo. A collection somewhere between party and after-hour. A psychedelic dialog between shades of black and colour, between crassness and finesse. Also present in the collection were the ever-popular sportswear elements. This eclectic mix solidified itself through iconic bodysuits, usually made of lace, as well as stud-covered biker jackets and mini-dresses. ABOUT HAIR: Sophisticated and messy: eclectic, wanton and glamorous hair creations by Augustin Teboul simultaneously served to underscore the punk-affine look presented by the models. Part out-of-bed, part wet-finishes and messy-structures with light waves were the highlights of the look created by the Sebastian Professional Urban Design team. A cool beauty statement, offering a wonderful contrast to the fashion creations.